One of the best things about our job, is that we get to learn from and be inspired by people of all ages and from all walks of life. The dojo is an incredible learning environment in which everyone can unite, work in a harmonious manner and embark on a journey which leads to a more abundant and prosperous way of living as individuals and as a community. 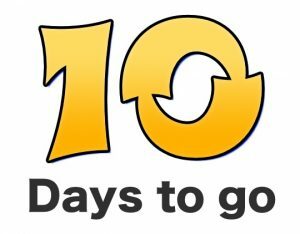 Today we are 10 Days away from annual “Come & Try Day” and we are absolutely loving this countdown, as it is giving us so many opportunities to celebrate the amazing people that we get to work with everyday. Today, we’d like to introduce you to a few of our adults, see what they are up to in the dojo and what they have to say about Sunshine Coast Karate. For those who have been following us on Facebook for sometime now, may have noticed that there are possibly more photos of kids than there are of adults. Don’t let this scare you away, there are lots of adults training too. Sunshine Coast Karate provides early morning classes, day classes and evening classes so that you can keep a balanced lifestyle of everything that is important to you. Parents are welcome to come along and train with their kids too. As a parent, one of the best things you could ever do is to jump in line and train with your kids. “Leading by example” is one of the most powerful means to inspire and influence your children. You’ll no longer need to “use words” to tell your kids what they “should” be doing. With you leading the way and demonstrating good habits in practice, you can’t help but have a positive impact on your children and all people you connect with throughout your day. I’m sure there is someone reading this that may classify themselves as being “too old” to do martial arts. Well, have we got news for you. We have an over 50’s class that we run through U3A and we also have many students training in our regular classes who are over 50. Age is no barrier. We may all be built a little differently and have a few battle wounds and limitations, but one of the benefits of Chito-Ryu Karate-Do is its flexibility to cater to the needs of individuals. There is no one size fits all, we must all respect our beginnings and carefully train in a way that promotes the steady improvement in all areas of our life. The adults featured in the video below have all had a tremendous impact on us personally and the Sunshine Coast Karate community as a whole. It is because of them and all our members, that Sunshine Coast Karate is the place that it is today. 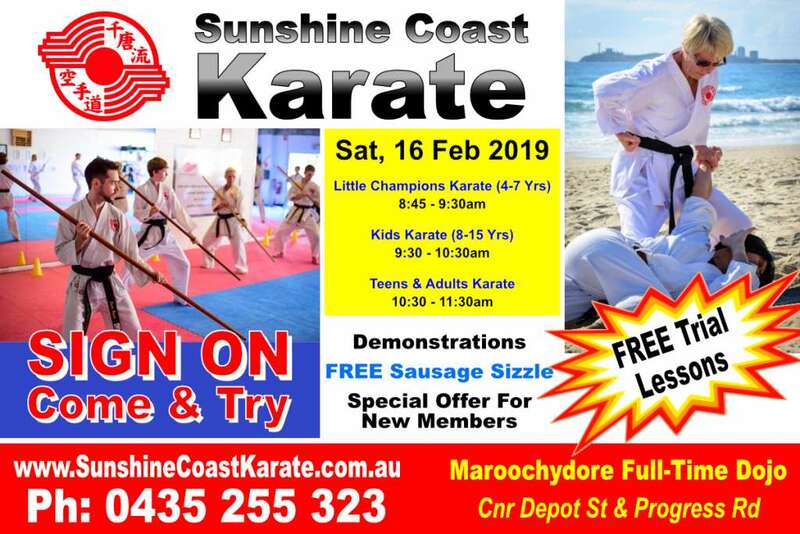 And, we thank them for their willingness to be featured in this countdown as a means to welcome more adults to Sunshine Coast Karate. Below is a poster sharing more details about our upcoming Sign on Day. We would love to meet you on Saturday 16th February and if you require further information, be sure to connect with us. If you have any additional questions about the upcoming Come & Try Day, connect with our staff and we’ll do our best to help you. We look forward to meeting you soon.